Searching for a summer dessert recipe for our June Great Backyard Month gathering at Hidden Valley RV Park, I found countless ideas online but all seemed too heavy for a hot day. I found a few great ideas though. My favorite type of recipe for any season is a "no bake." I have become an aficionado of "no bake" foods and desserts for a few reasons. With many foods you retain more nutrients if they are in their natural, whole state. They also tend to be less calorie stuffed. Just looking at a rich dessert adds to my belly. That's right, all the ingredients and directions in one photo. Now that's my definition of easy. Note: I prefer using seedless watermelon if available. Putting the mixer bowl and whisk attachment in the refrigerator to get it cold is helpful. I use 1 cup of heavy cream cold from the frig, 2 Tbsp of powdered or granulated sugar and, if desired, a half tsp of vanilla, almond or coconut extract Add all the ingredients in a mixer. Then whip first on low, then on high until you have peaks. Keep checking the stiffness of your whipped cream because you can get it to different levels. Voila! That’s it! Note: Stop at soft peeks if you are using it for just a topping of a dessert. Make it a stiffer if you are going to use it on a cake. You may double the first two ingredients if you need a big batch. But I found a recipe for an even healthier but a bit more time consuming, unless you do part of the recipe in advance. 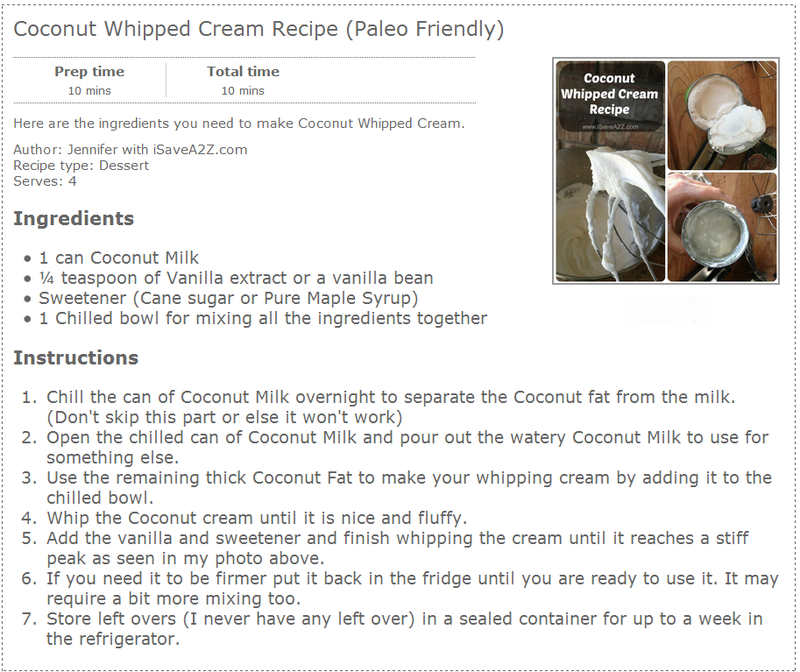 Instead of the whipped cream, I often use this healthy alternative, coconut whipped cream. You can make this up to a week in advance so that when you put the cake together the prep time is very minimal. Use your imagination for substitutions on the cream toppings and side decor. Granola can be used instead of almonds or you can use pieces of cantaloupe, honeydew melon or pineapple slices, cut into stars or other shapes with tiny candy cutters and held in place by toothpicks. The cake does well in the refrigerator over night if you want to prepare it the day before but in that case, put a piece of paper towel under the melon to soak up any liquid that comes out of the melon overnight. Do you have any cool and easy summer recipes to share? Drop in some ideas in the comments below.